BA Military Studies, Brevet d’Études Militaires Supérieures (Paris), Graduate Diploma in HR Management (Canberra), Cert IV Training & Assessment, Level 3 Org Coach (IECL), CINERGY Conflict Coach; International Coach Federation PCC, Certified Practitioner in Herrmann Whole Brain Thinking, Genos Emotional Intelligence, & Myers Briggs Type Indicator. 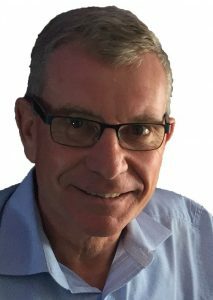 David joined Synergy Global in 2018, as an Effectiveness Practitioner, Change Facilitator, & Executive Coach based in Brisbane & ACT. He started his career as an Australian Army Officer – honing his leadership skills through practical application, professional development & developing other leaders. David was recognised for his adaptive leadership style & ability to adjust to the prevailing situation & the people he led. His move into consultancy offered opportunities for him to use his strategic, analytical & operational skills to guide organisations through change in a volatile, uncertain, & complex environment. Through his numerous assignments, he’s been responsible for significant changes in both Border Control plus, Health & Wellbeing Services. He was the Program Manager for the largest change to Australia’s universal health system Medicare since its inception; & recently reviewed the Child Support Program Structure for improvement. David’s experience has led him to realise that ‘transition’ is a human matter & adapting to change requires excellent leadership. He’s passionate about developing leaders to navigate & lead change more effectively – using a Socratic Executive Coaching (EC) approach. He works with individuals & teams from the ‘C-Suite’ through to frontline leaders in the Private, Public & NfP Sectors. The sector may be different, but the human need for inspired motivation during a shift from one state to another is the same. He recently created & implemented a Cultural Change Program for 35 leaders in a Community Organisation, which was coming to terms with the funding arrangements for the NDIS. Over a year, through a series of workshops & one-on-one EC sessions, he coached leaders at all levels through the maelstrom of business change. From 1990-1991 David was selected as the Australian Defence Force delegate to France for a long-term professional development program at the École supérieure de guerre interarmée & Cours supérieur interarmées. David was educated about geopolitical strategy & leading through crisis/conflict. David has been published in a Chapter of the European Mentoring & Coaching Council’s book on coaching & mentoring in Asia Pacific. He was the lead author of a Case Study of a program he developed & implemented coaching women in the areas of Science, Technology, Engineering & Mathematics (STEM). Leadership Coaching; using emotional intelligence & values-centred approaches for leading transition.